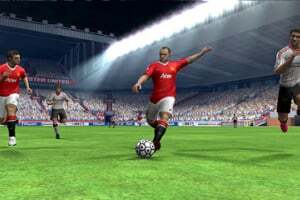 FIFA Soccer 12 features over 500 officially licensed clubs and 8 game modes, including authentic 11 v. 11, head-to-head local wireless play, Be A Pro, Tournament Mode with over 50 real-world competitions, and a full Career Mode. 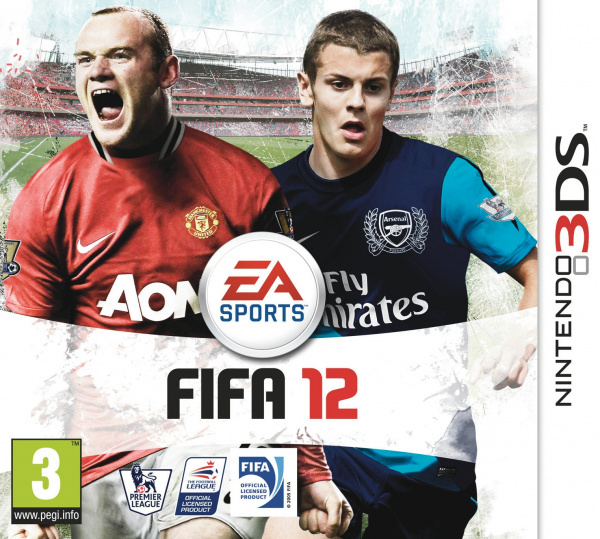 FIFA Soccer 12 is the most innovative, feature-rich and authentic 3D soccer experience on Nintendo 3DS. Take to the pitch with superstars like Real Madrid’s Kaká and Manchester United’s Wayne Rooney, and become a true marksman using all-new optional touch screen shooting controls. Pick a spot precisely from the player’s viewpoint using the lower touch screen and then direct a shot with pinpoint accuracy. 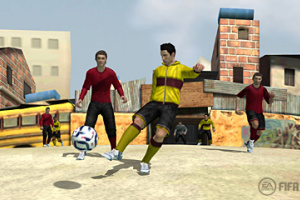 Whether fans take to the pitch as a real-world superstar or re-create themselves in the first-ever 3D Street Soccer Mode, the environment will come alive through an innovative curved pitch and unique lower camera view that maximises full 3D effects. Featuring players wearing the latest street gear, the stage will be set for epic 5 versus 5 matches true to the spirit of street soccer. Plus, take a created player on a journey from the streets to ultimately compete for your favourite club and national side in Be A Pro. 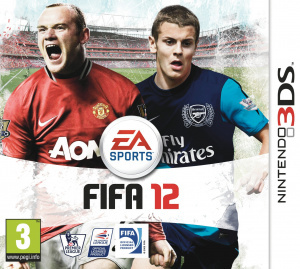 FIFA Soccer 12 features over 500 officially licensed clubs and eight different game modes, including, 11 versus 11, head-to-head local wireless play using Nintendo® Wi-Fi Connection, Be A Pro, Tournament Mode with over 50 real-world competitions, and a full in-depth Career Mode. Unmatched Authenticity—Compete with over 500 officially licensed clubs in 11 versus 11 matches in authentic stadiums from around the world. Touch Screen Control—Optional new touch screen controls change the gameplay experience. 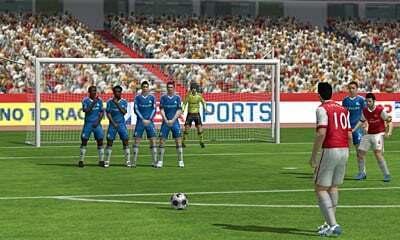 Pick a spot precisely from the player’s viewpoint using the lower touch screen and then direct a shot past the keeper. Precision Accuracy—Utilise touch screen controls on set pieces to draw a shot that curves the ball around, or even power it over the wall for the match-winning goal that lifts your club to victory. 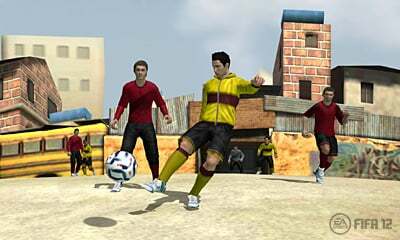 3D Street Soccer—The stage is set for epic 5 versus 5 street matches in the hottest locales around the world, everywhere from Brazil to the streets of France. 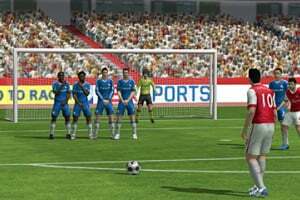 Experience full 3D affects playing on a curved pitch utilising a unique lower camera view that maximises 3D planes, depth of the field and player movement. 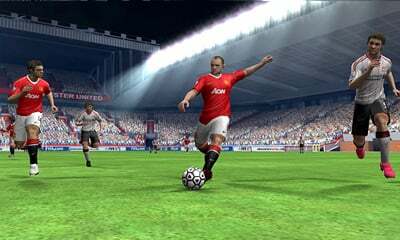 Be A Pro—Create yourself in game and become the next soccer legend. Begin the journey on the streets, build your reputation, and develop your skills to ultimately compete for your favourite club and national side. Career Mode—Play or manage your way to glory. Make strategic decisions as the manager of your club. Set a goal and succeed and your team will enjoy performance enhancements; fail and watch your team’s decline. Tournament Mode—Compete in over 50 real-world tournaments from around the world. Play with/against friends in leagues ranging from the Barclays Premiership, to the Bundesliga, and cup competitions like the FA Cup & the Coppa Nazionale. 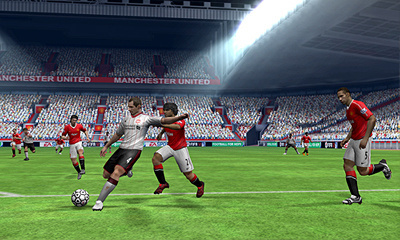 Training Mode—Master Touch Screen controls, perfect set pieces and practice moves before playing games. Multiple Camera Angles—Eight different camera angles to choose from for the perfect view of the pitch. has this actually been announced???? 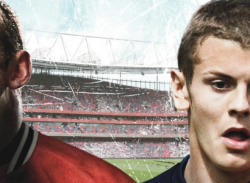 will be waiting for this rather than buying pes.